On a usual hungry weeknight, my only mission was to use up leftover herbed goat cheese my husband mixed together when he made me pizza. I was planning about as well when I'd gone to the grocery store the weekend before, so I had some mushrooms on hand and no particular purpose for them. 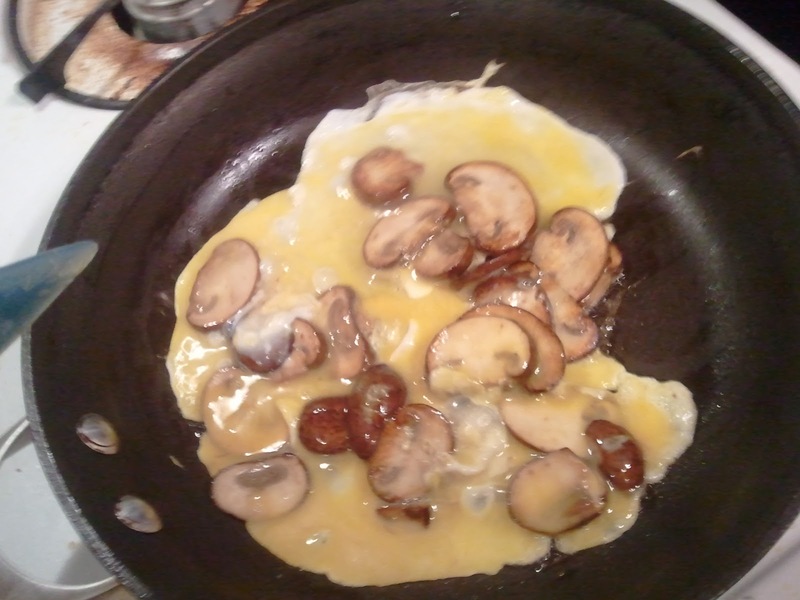 So I sliced some mushrooms and put them to cook in some butter. Repeat after me: Butter is good. Butter is good for you. I love butter. Unless you're vegan. Then I'll excuse you. But only then. 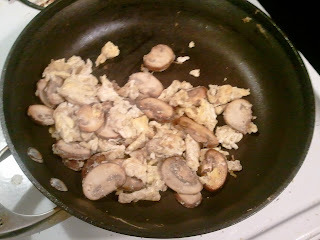 Once those were sufficiently cooked, I added a wee bit more butter and two stirred-up eggs. Scramble until the eggs are cooked. I don't like any egg goo. Sometimes I can't even bring myself to eat eggs, so when I do, they're DONE. Then spread goat cheese on whole-wheat tortillas, or any ol' tortillas. Put half of the filling in each. 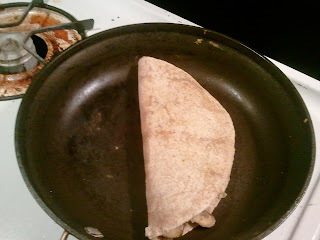 Turn the stove off, but use the residual heat in the pan to melt the cheese in both sides of both soft tacos. Flip after about 15 seconds per side. This was a filling dinner, but I'd say this would feed two people for a light breakfast. I'm beginning to think I need to create a Quesadilla label, there are so many on here! 1. 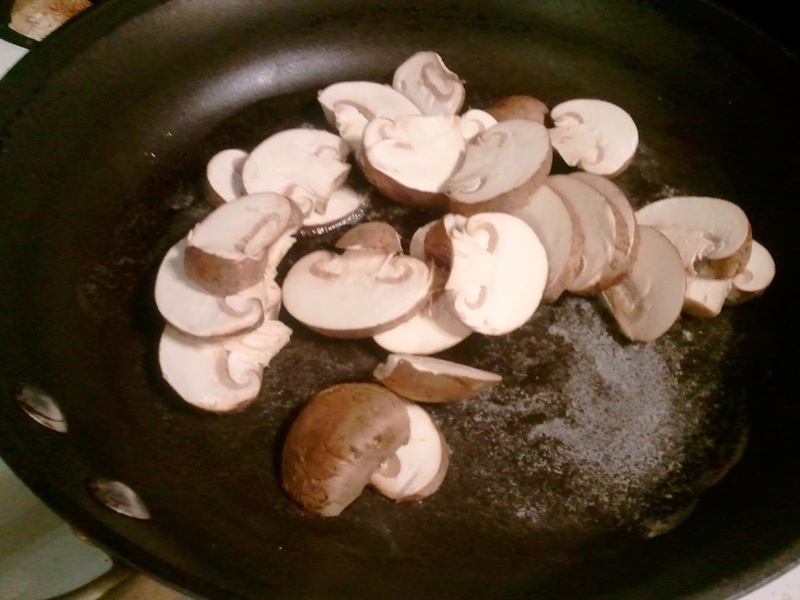 Saute mushrooms in butter. 2. 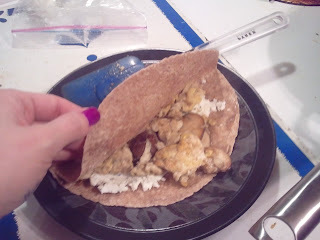 Add scrambled eggs and cook until firm. 3. 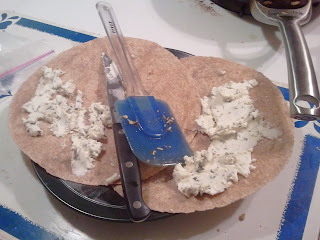 Spread goat cheese on tortillas. 4. Fill tortillas with eggs and mushrooms. 5. 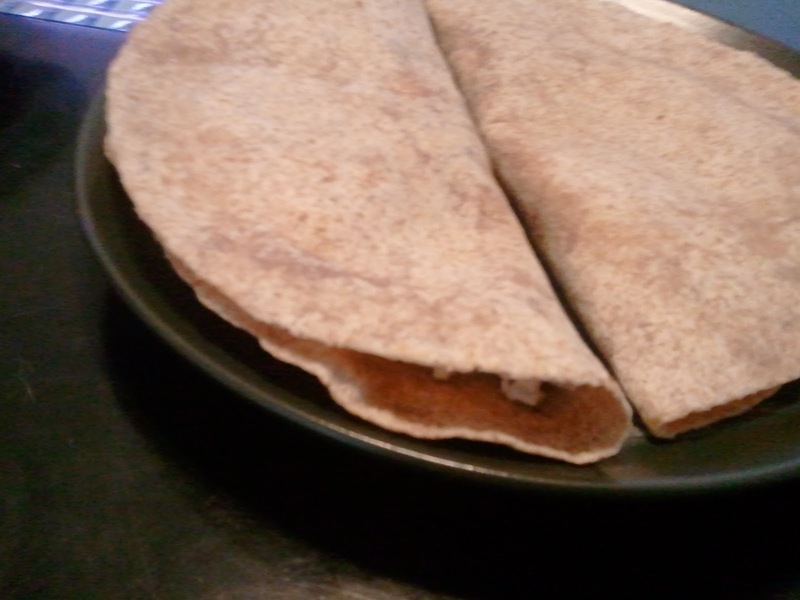 Turn off stove and heat all sides of "tacos." "Sometimes I can't even bring myself to eat eggs, so when I do, they're DONE." 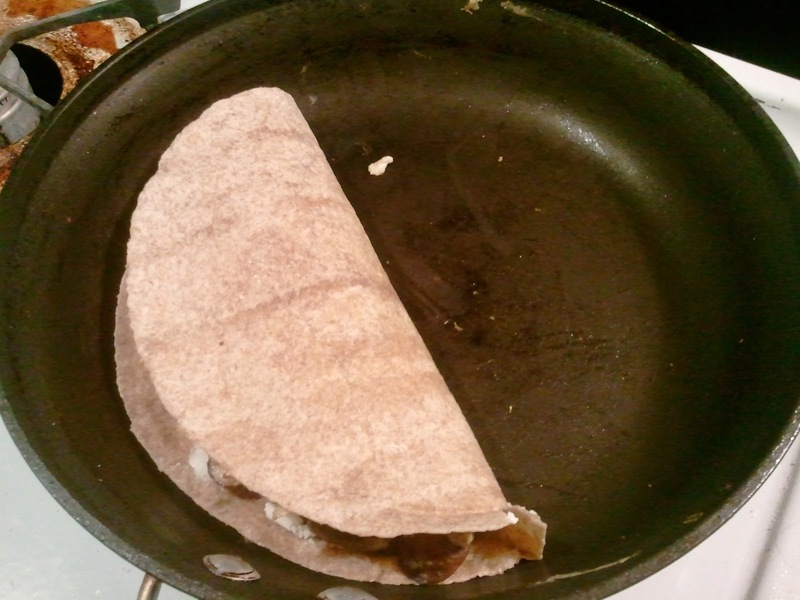 "I'm beginning to think I need to create a Quesadilla label, there are so many on here!" Cookie dough is special and is always an exception. I'm even worse if dough is vegan. Then it's a wonder that any makes it to the oven. Also, everything should have mushrooms! Except those cookies maybe.